Another one done! 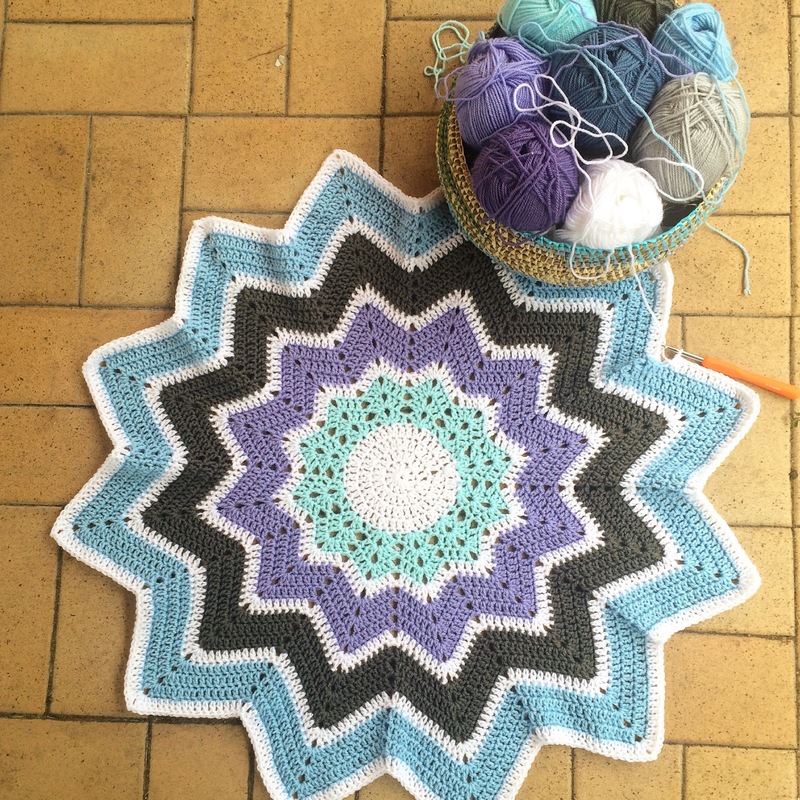 This time I used some purple and blue yarn to make a sort of snowflake looking blanket. This was meant to be a gift but I think I’ll keep it instead! I added the white rows every three rows to break up the colour and also to reduce the amount of yarn needed in each colour. It took about half a ball each colour and 1.5 balls of white to make this. Using yarn that doesn’t change colour gives this blanket a totally different look than the other two I have already made. This is a quick blanket to make up, only really slowing in the last four or so rows, even then you could easily make this in a week. This one took about 4 days.